Widyan Fares reviews Australian documentary ‘Only the Dead’, which screened at the Sydney Film Festival last week. 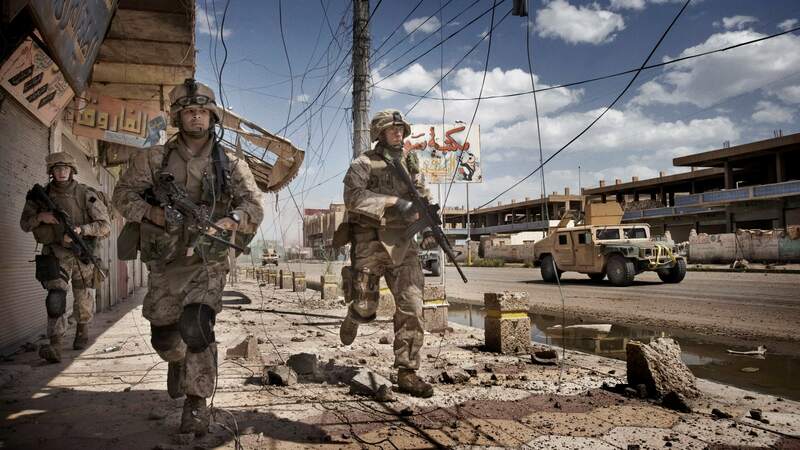 U.S. Marines scan streets and surrounding buildings for insurgents during a patrol in Ramadi. By: Yuri Kosyrev. Set in the dusty and ragged terrain of war torn Iraq, Only the Dead incorporates all the essentials of a good war documentary: explosions, kidnappings, violence and the loss of innocence. Directed by Michael Ware and Bill Guttentag, the film offers a glimpse into the day-to-day life of a foreign correspondent. The documentary follows Ware, who is the only war correspondent to survive an al-Qaeda kidnapping in Iraq – an incident that leads to his obsession with al-Qaeda founder, Abu Musab al-Zarqawi. Ware is sent to report on the Iraq war while working for Time Magazine in August 2003. Using a worn out handy cam, he captures a harrowing journey. After he captures the first ever car suicide bomb in Baghdad on camera, Ware develops an obsession with car bombings. Only the Dead recounts the lengths he goes to in his investigations on the topic, even developing strategic relationships with Baath regime supporters. These relationships eventually lead him to Zarqawi’s men – the very men responsible for the suicide attacks. The gruesome reality of war is successfully captured in this film, from shots of burnt corpses and bloodied bodies buried in rubble to the cries of disbelief and agony from Iraqi onlookers. The first half of Only the Dead documents the collateral damage of the Iraq War, but it isn’t until Ware’s capture by al-Qaeda that both the documentary and the course of his life begin to change. 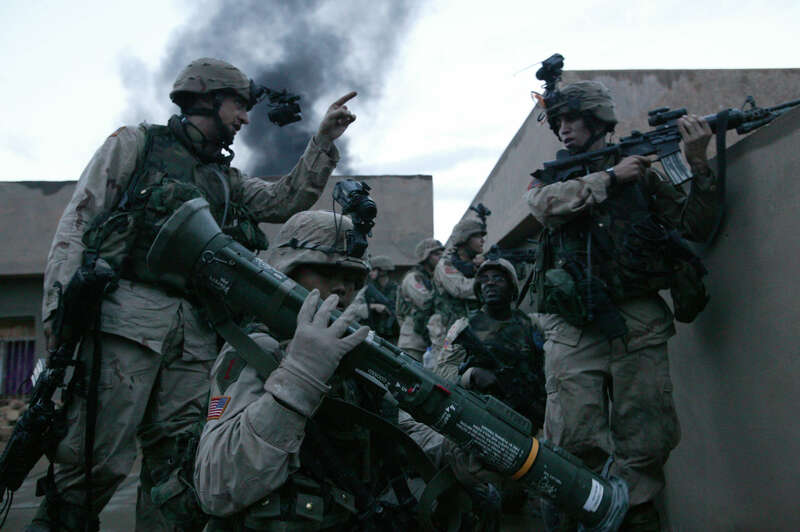 A band of soldiers from the Army Task Force 2-2’s Alpha Company, 3rd Platoon, battle insurgent attackers in Fallujah. By: Yuri Kosyrev. Ware explains being held at gunpoint by fighters loyal to Zarqawi. The men drag him from the car and stand him beneath one of the banners, intending to film his execution with his own video camera. Thankfully, Ware is released, but he is then embedded with the US military following his capture, no longer free to roam conflict regions except in the presence of military personnel. The second half of Only the Dead captures the intense fighting between the US military and Zarqawi’s men in the city of Ramadi. The documentary lays bare the changing face of Iraq after the toppling of Saddam Hussein and his regime. It showcases the jubilation of the White House after the infamous ‘Mission Accomplished’ declaration, but it goes beyond the quintessential Iraq War documentary in that it fails to offer a glimmer of hope and light. No such salvation is offered here; as a matter of fact, the film’s dark ending is a true representation of the nature of war. Ware’s documentary makes a bold statement that, despite celebrations in the White House, the Iraq War was far from finished let alone won. But it’s the final scene that really defines the type of documentary that Only the Dead is. It was the scene I found most difficult to watch – not only from my perspective as a reporter, but as an Australian-Iraqi. Ware is with US military soldiers who are checking empty homes for Zarqawi’s men. Suddenly, gunshots are heard. The soldiers fire back. 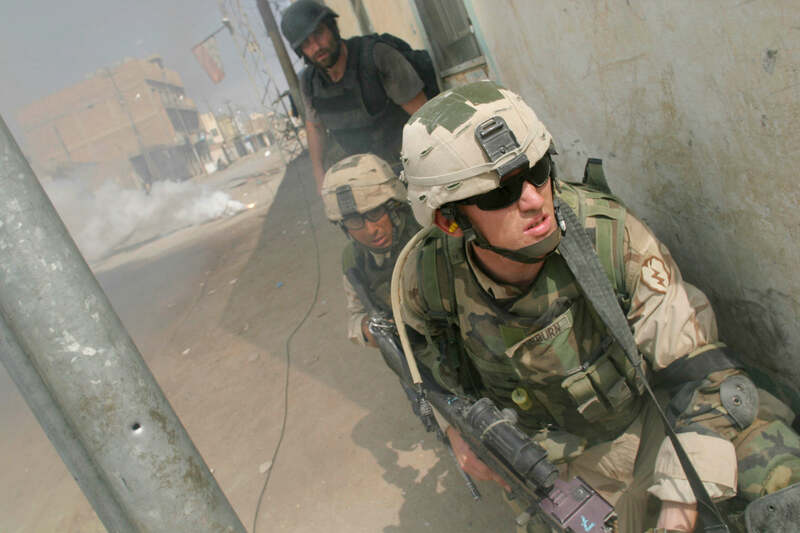 October 1, 2004 – Michael Ware and U.S. soldiers look around a corner while a smoke grenade covers their advance during an attack to take back Samarra from insurgent control. By: Max Becherer. Ware slowly approaches a man lying on the floor. Two soldiers point their rifles at the man, who doesn’t move. Thinking him dead, they drag the man across the street into the yard of an abandoned home. 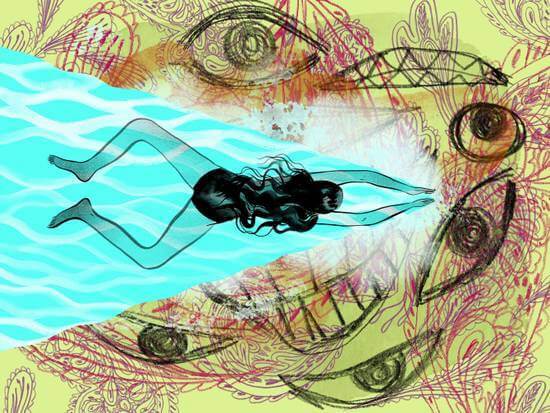 Suddenly, he begins taking deep breaths; the man had been in shock. The soldiers look at him and debate if any medical assistance should be provided. “Help him, but I’m not telling you to perform any life saving surgery,” they joke, while another scoffs, “Let the fucker die.” Ware remains silent and continues to record. Another soldier checks the man’s shirt pocket and finds identification; he is Iraqi. Finally, a soldier throws a rug over the man’s face as he continues to gasp for air, unable to move his limbs. Michael Ware was at the Sydney Film Festival screening of Only the Dead. I asked him why he hadn’t attempted to save the man. The beauty of Only the Dead is that it so clearly reveals what it means to be an observer and a player in a war. However, the line between being a journalist or ‘observer’ and a player in the war had already blurred the minute Ware was personally handed beheading videos by one of Zarqawi’s men. The journalist ‘observer’ position crumbled the moment Ware was kidnapped, yet he still made the decision to do nothing. If Ware had chosen to ‘clear his throat’ would that mean that he was siding with the dying man? Would he have jeopardised his position as an objective journalist? Ware seemed to think so. But is this really a question of journalistic objectivity? Is Ware not foremost a human being? Is this not a decision of life and death? To overlook the obvious and narrow this down to a question of ‘objectivity’ is to evade responsibility. It doesn’t matter how many “bad guys” the US and coalition forces killed: the moment a good man stood idle by and did nothing to save an innocent life was the moment that evil truly won the war in Iraq. Widyan is a project manager and acting editor of The Point Magazine, an online magazine aimed at young people run by Multicultural NSW. She formerly worked as a reporter and presenter at SBS. When not at Multicultural NSW, Widyan is also the media consultant and strategist for the Lebanese Muslim Association. She’s written extensively on the War on Iraq, countering violent extremism, Muslim women, and media advocacy, and is passionate about multicultural media representation.